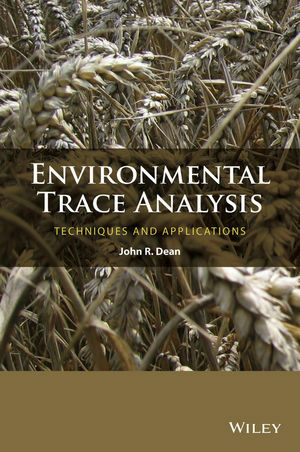 This book covers all aspects of environmental trace analysis from sampling through to preparation of the sample to the analytical techniques used to quantify the level of trace metals or organic compounds. The book is divided into two areas: sample preparation for inorganic analysis and sample preparation for organic analysis. This allows the reader to focus on key aspects related to the preparation of samples for their subsequent analysis. Selected case studies provide the reader with the opportunity to consider how the sample preparation approach can be optimized for their own area of expertise. John Dean's recent research work has focused on (a) the application of the physiologically-based extraction test to assess environmental health risk from metals and polycyclic aromatic hydrocarbons in contaminated land studies, (b) development of new high performance liquid chromatographic approaches for environmental and pharmaceutical compounds, and, (c) development of novel gas chromatographic approaches as a diagnostic tool for bacterial detection/identification.